On the 27th of March 2019, in the framework of the visit of the delegation of Turkmenistan to Japan, a meeting was held between the Chairman of Turkmen-Japanese group of inter-parliamentary friendship of the Mejlis of Turkmenistan, Deputy hyakim of the Akhal province S.Berdimuhamedov and the Mayor of Tendo city Yamamoto Shinji. During the meeting, the parties discussed a number of issues pertaining to bilateral cooperation. In the second half of the day, the Turkmen delegation visited the factory «Ysyokuniku» in Yamagata prefecture which is producing the Wague sort of beef. Here, the members of Turkmen delegation got acquainted with the peculiarities of producing the famous marbled meat of special Wague breed, which is considered as the national treasure. In addition, the delegation of Turkmenistan visited the greenhouses on growing the cherries. Here the delegation members gained an opportunity to be acquainted with the modern and leading methods of cultivating different types of cherries. The delegation members have also visited the “Nagominousan” farm in Yamagata prefecture where they were thoroughly accustomed with the functioning and structure of this highly technological agrarian complex. In the framework of the visit, on the 28th of March 2019, a meeting was held between the Chairman of Turkmen-Japanese group of inter-parliamentary friendship of the Mejlis of Turkmenistan, Deputy hyakim of the Akhal province S.Berdimuhamedov and Ms. Yuriko Koike, the Governor of Tokyo, during which the sides noted with satisfaction the development of Turkmen-Japanese mutually beneficial relations. In the same day, the delegation of Turkmenistan visited the robotics center of “Kawasaki Heavy Industries Ltd.” company in Odaiba, where the presentation of leading technologies of “Kawasaki” company was organized. During the meeting with the chief managerial staff of this industrial complex, the parties underlined the effectiveness of cooperation between Turkmenistan and the largest Japanese corporation. 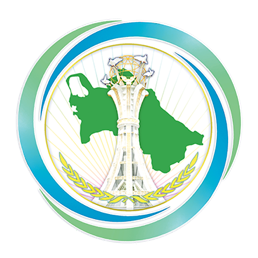 The parties stated that the factory on producing gasoline from natural gas that is being currently constructed in the Ahal region will become one of the highly modern gas-chemical complexes in Turkmenistan. The Japanese side expressed confidence in further broadening of its presence in various segments of the market of Turkmenistan.